The snowstorm last week made me realize we still have a couple months left of winter around here. I think I was in denial right after Christmas when I decorated my mantel. The weather had been so mild that I pretty much skipped right over winter and jumped into vacation mode. But then it snowed. It really snowed. Suddenly, I felt the need to embrace the cold weather, at least for a little while longer. It helped to pull out a few things to decorate for the winter season. 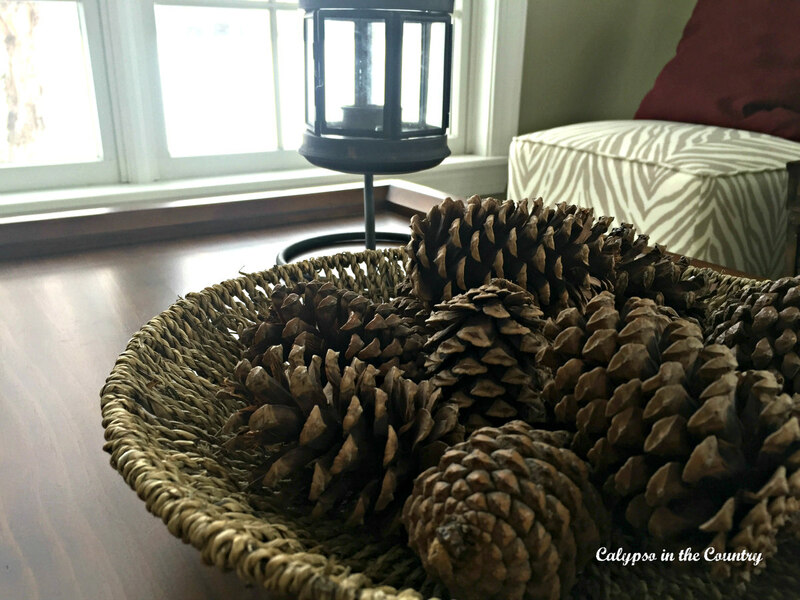 Pine cones are great to use in winter decorating. It’s easy to just throw a bunch into a basket and be done…instant winter decor! I took this photo the morning after the snowstorm. 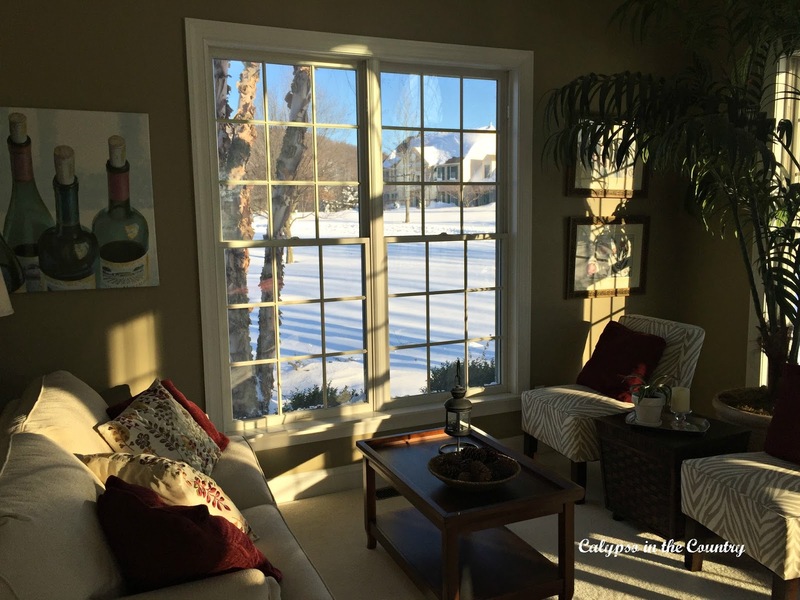 The sun shining on the beautiful fresh snow outside somehow added to the coziness inside. 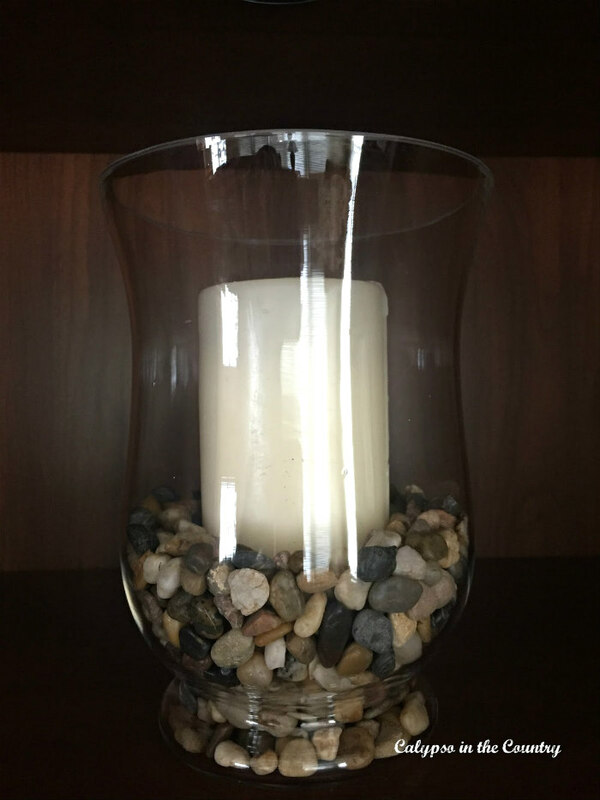 Change the fillers in the candle vessels. Since the cranberries I had in these candle holders at Christmas were decaying, I swapped them for some river stones. This could work for fall or winter decorating. 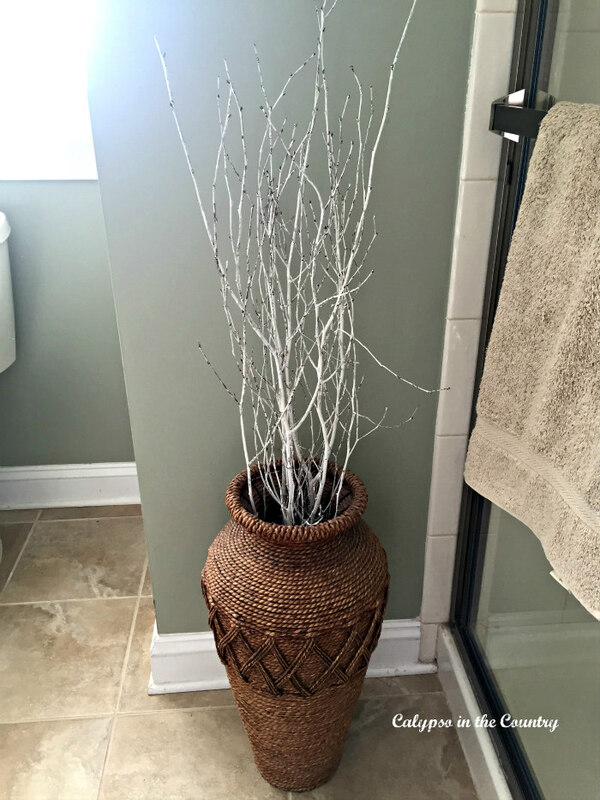 In the guest bathroom, I filled this basket/vase with some white winter branches. I like the way they look against the sage green walls. Excuse the glare on this one. 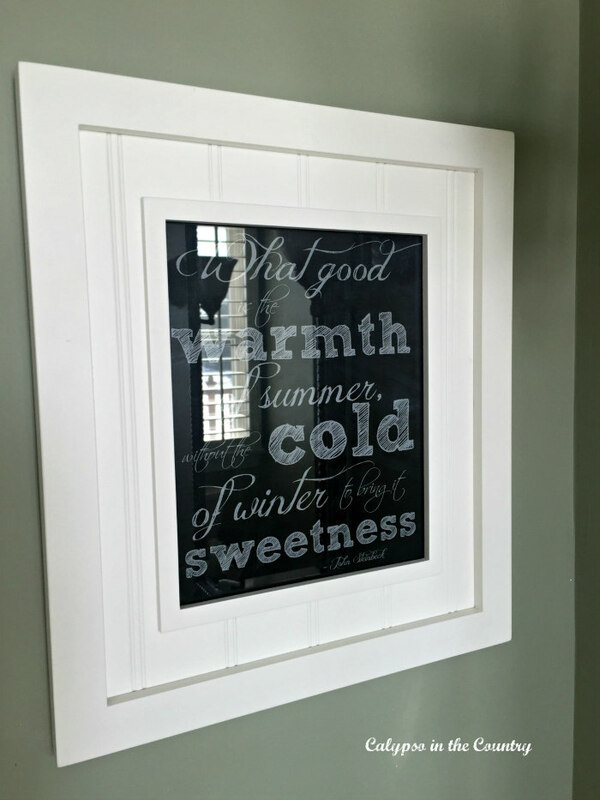 Each season, I replace the artwork in that bathroom with a quote or free printout. I found this free printable winter chalkboard art from The Happy Housie. The John Steinbeck quote is appropriate for this time of year. Sometimes I want to rush through the winter and hop right to the warmer weather. But then I see my kids skiing, sledding and enjoying the snow and I am reminded to enjoy each moment of every season. 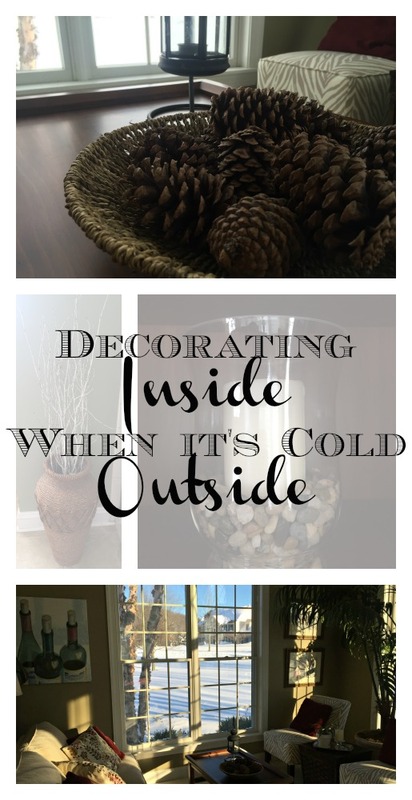 How are you decorating for winter in your home? Love that picture looking outside. So pretty. You're so right, I think many of us were in denial about all the cold to come. LOVE those wintry white branches and the river rock in the vase!